Today we are in A206 to finish the research paper. Be sure to have your notebook ready as well. Today is our in-class quarterly. Any notes for preparation can be found in yesterday’s post. Tomorrow we will be back in A206 to work on our research paper one last time! Notebooks will be checked tomorrow. You are graded on quantity. 10Pts for every 3 pages. 30 pages equals a 100. Today we will be preparing for the quarterly exam tomorrow. Your exam is very similar to part 3 of the English Regents that you will take in 11th grade. We will be doing a practice exam in our notebooks. You will receive notes on what is expected of you, as well as a template for the essay, which you can use anytime you answer this questions. Here are the notes: Task 3 Common core. Here is the practice exam Practice exam. Describe the speaker? Who is this person? (Keep in mind the speaker and the poet should not be confused. A 6 year old boy can write a poem from the perspective of his 40 year old father). What is the message of the poem? Find and explain any metaphors. Find and explain any symbolism. What is the author’s attitude? In your opinion what is the most important line of each poem? 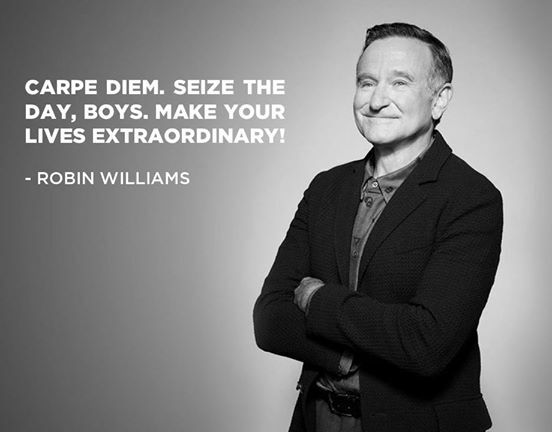 What is the message Robin Williams’ character is trying to teach the students? What does he make the boys look at and why? Today and tomorrow all classes will be in the computer lab, A206, to write the research paper. Be sure to check all of our notes, which are posted on this page! ____ (5pts) Italicize magazine, newspapers, and books, Use quotations for article titles. Final Notes on Research Paper! Today we are back in class for our final set of notes on the research paper. Post an outline on Kidblog. Plan for at least 4 body paragraphs. At least one of them should explain and refute an opinion that opposes your thesis. Paraphrasing-express the meaning of a writer, speaker, another person using different words. When Paraphrasing you must still use a Parenthetical Citation to give the author credit. In your outline, be sure to include some information using paraphrasing. All classes report to room A206 today! Author’s last name, first name. “Article Title.” Publication. Date Published. Date Accessed. . Your Works Cited Page should have 6 entries. The 4 I gave you (listed below) and the 2 you found on Monday. Wallace, Kelly. “Is Fake News Fooling Our Kids? A New Report Says Yes.” CNN. March 10, 2017. March 22, 22017. < http://www.cnn.com/2017/03/10/health/fake-news-kids-common-sense-media/ >. Post an outline on Kidblog. Plan for at least 4 body paragraphs. At least one of them should explain an refute an opinion that opposes your thesis.